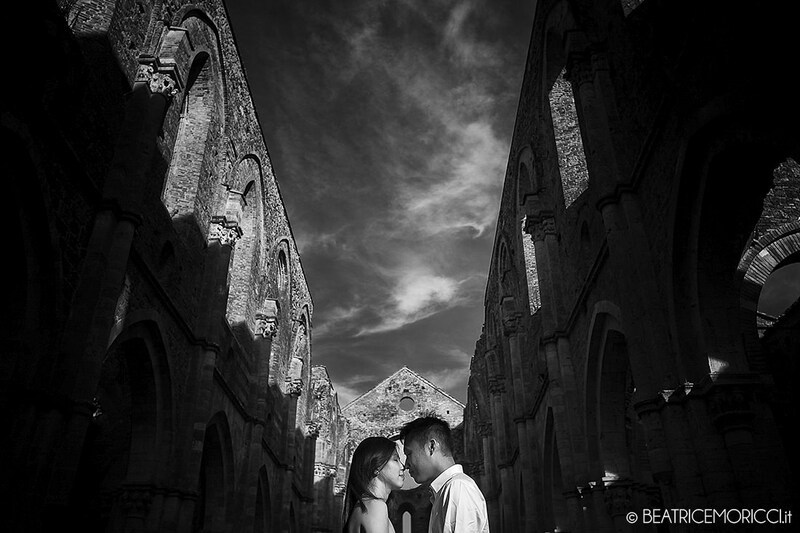 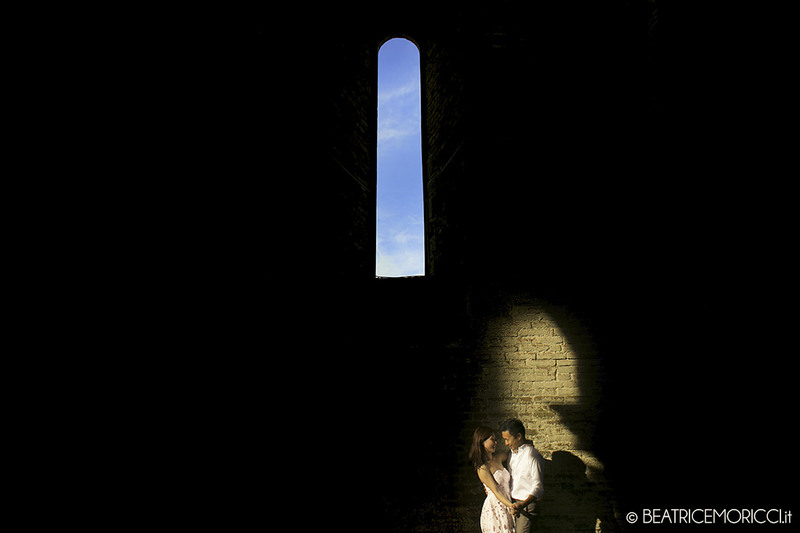 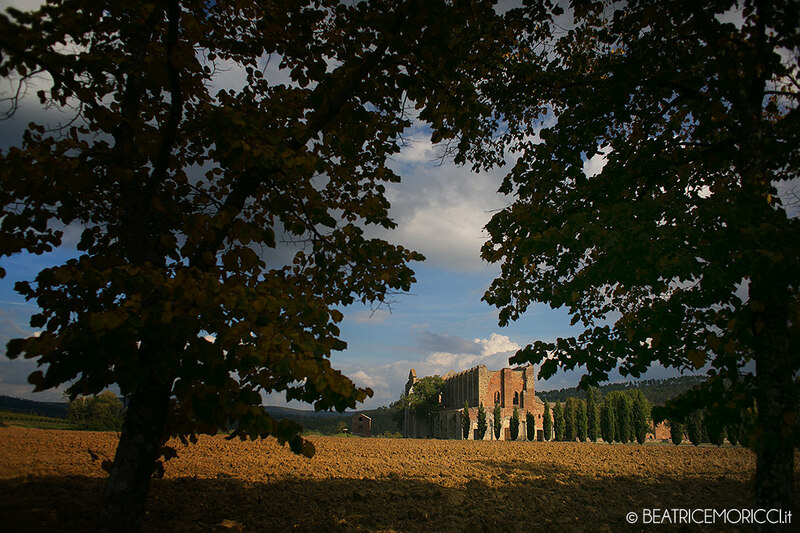 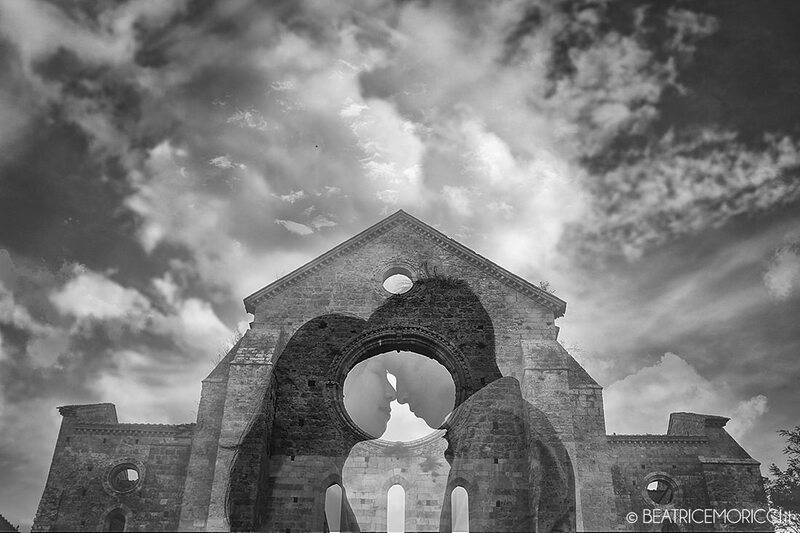 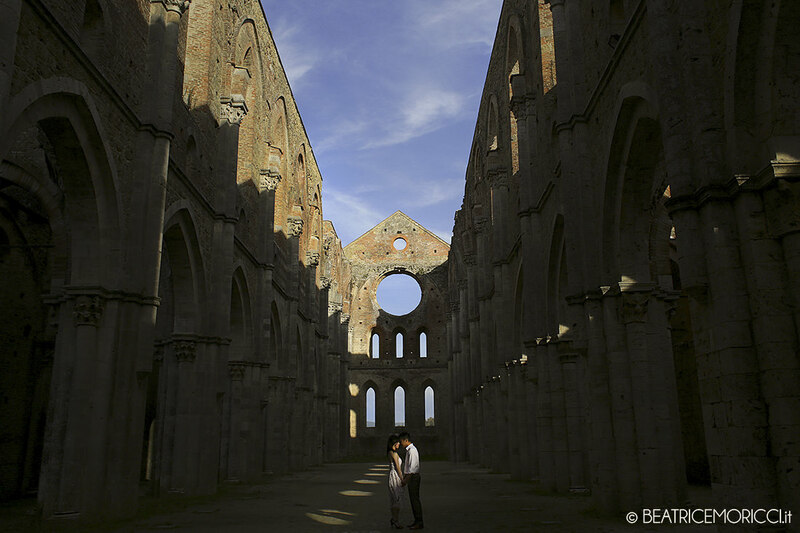 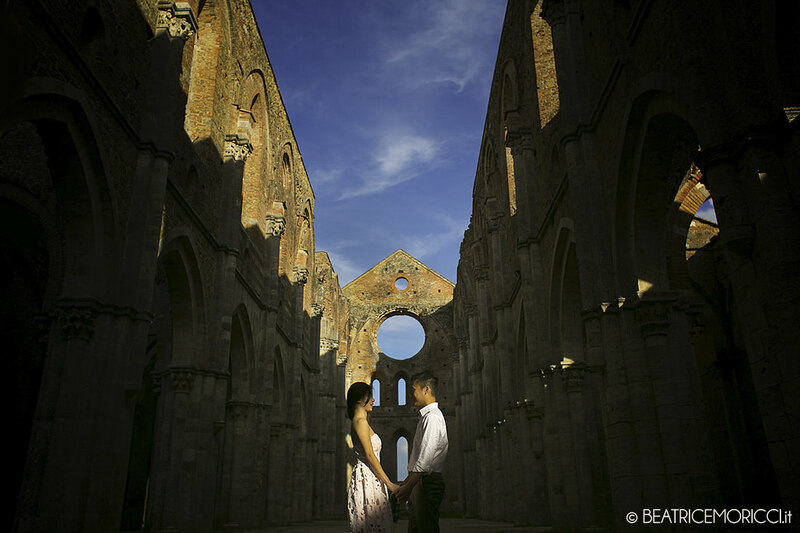 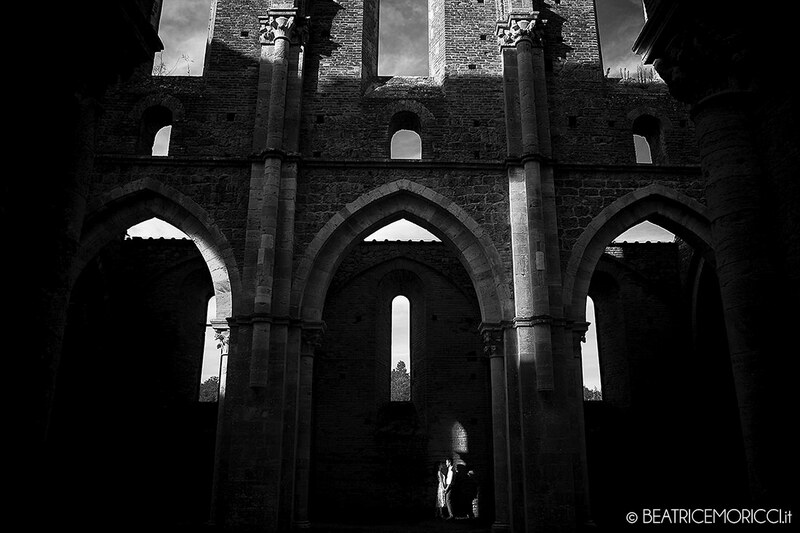 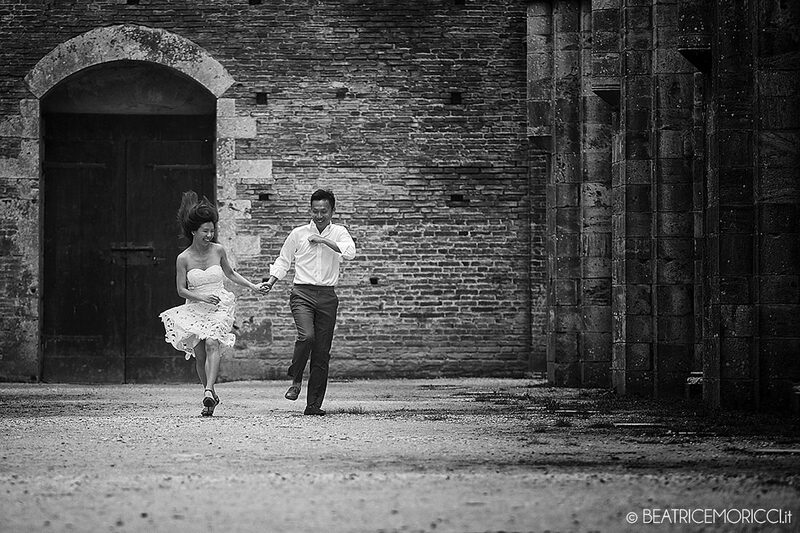 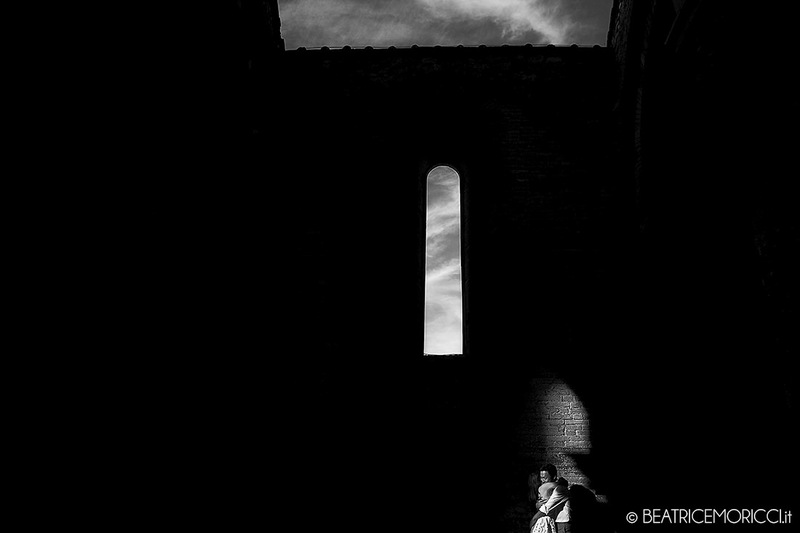 A magic venue where sky and land join, the San Galgano Abbey near Siena. 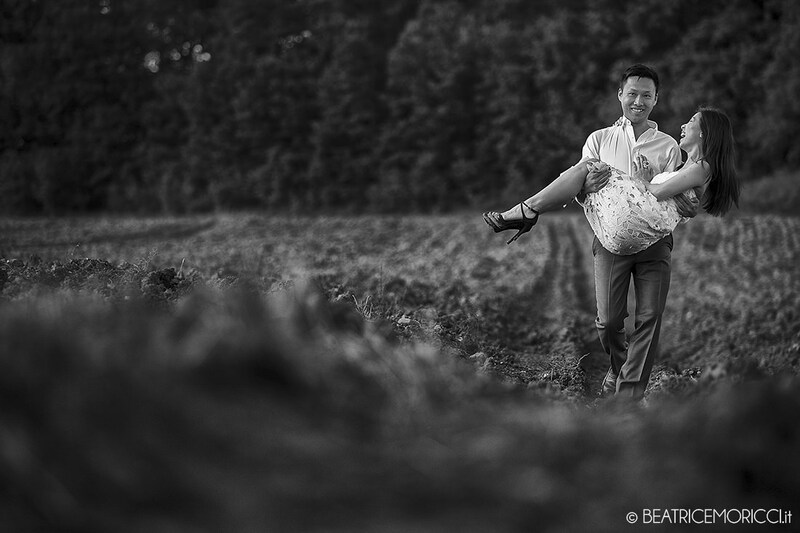 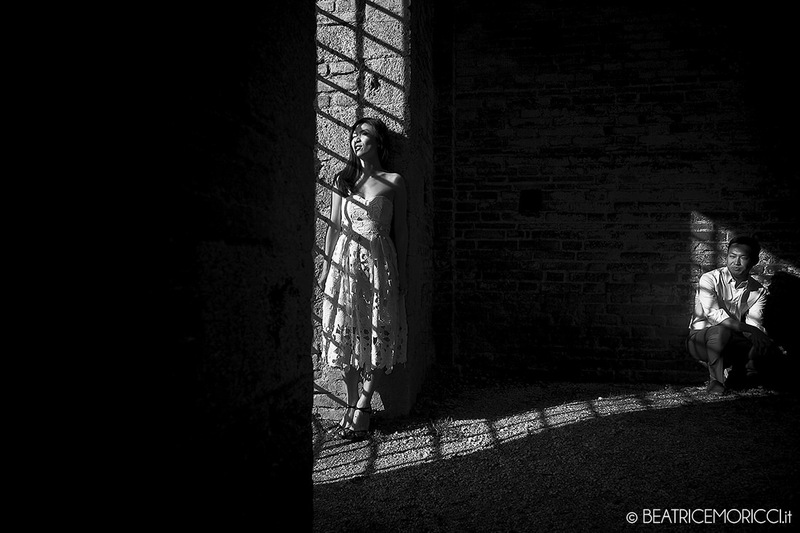 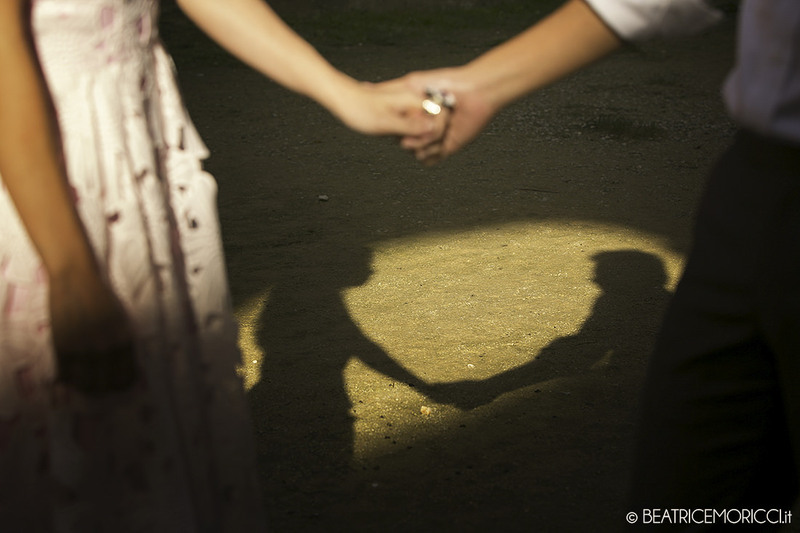 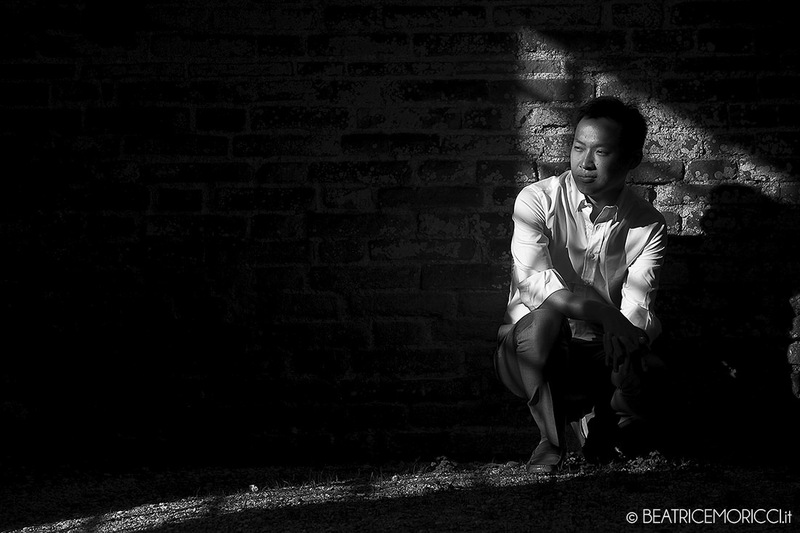 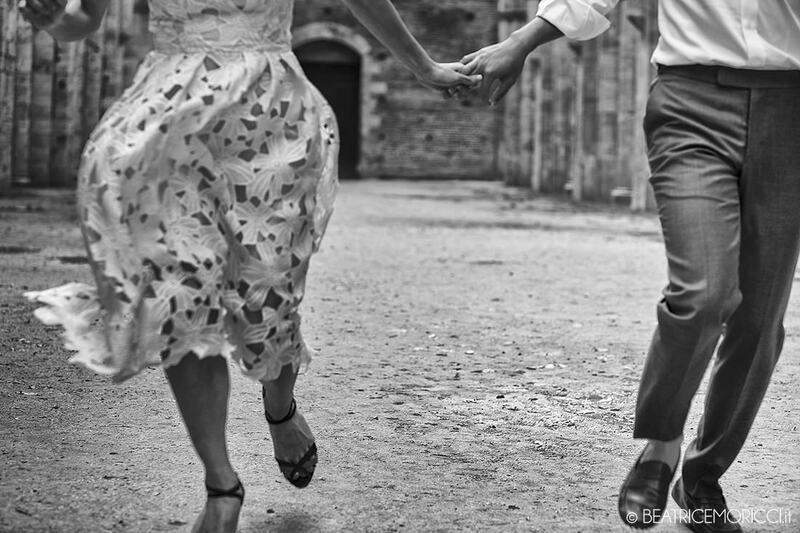 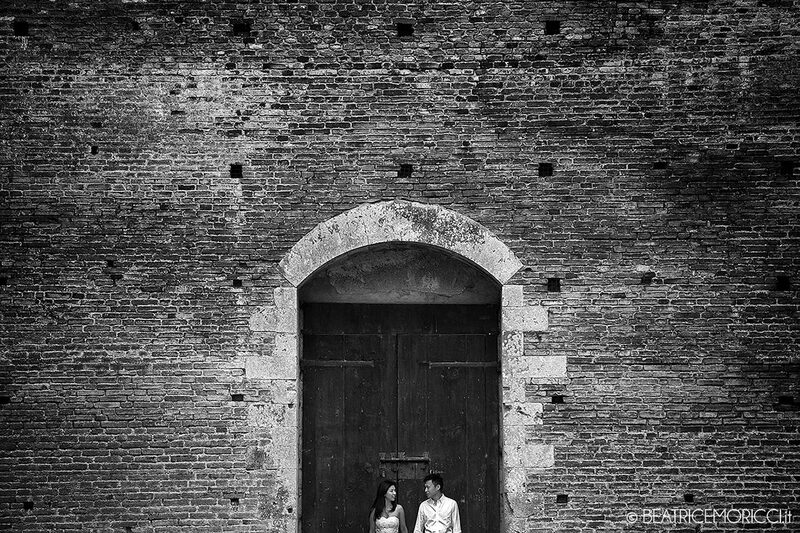 Eugene and Elise from Hong Kong, a sweet, shy and delicate couple in love. 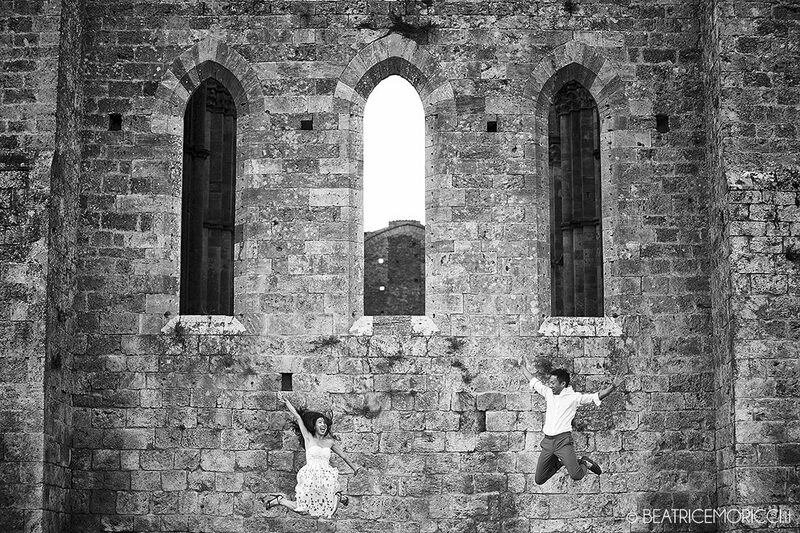 Their complete trust in my work. 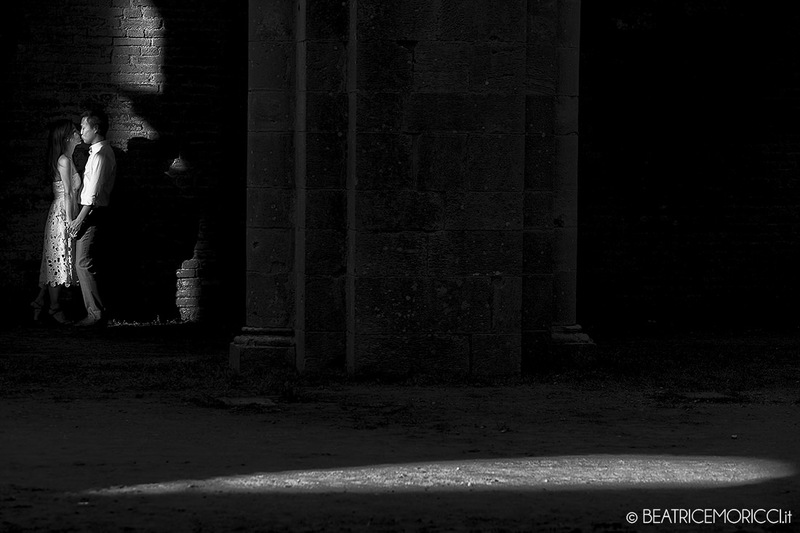 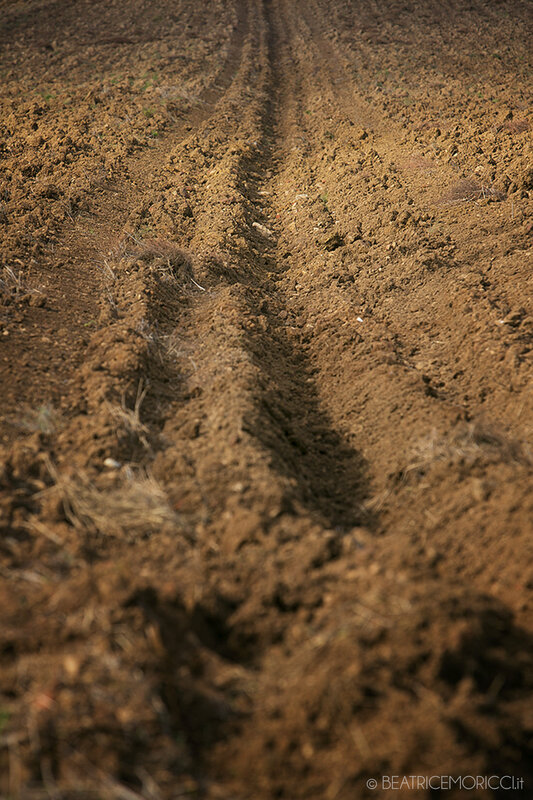 What can I ask more to my work? 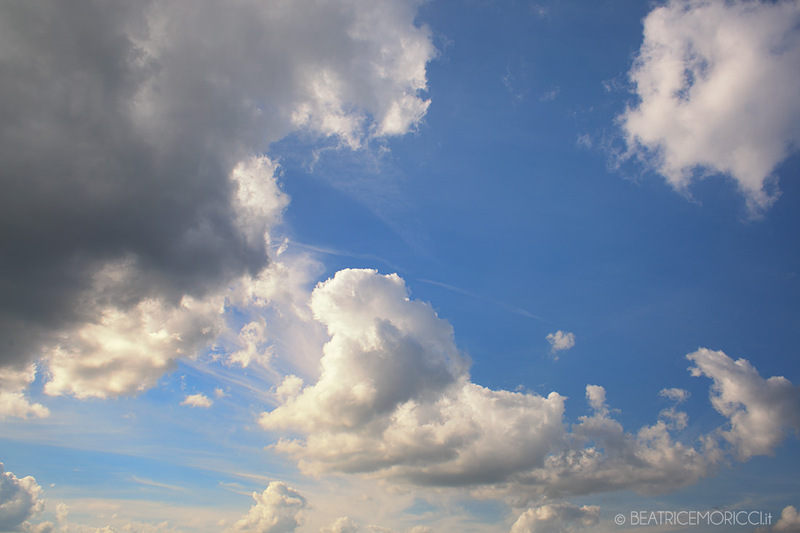 Dreaming is my job.